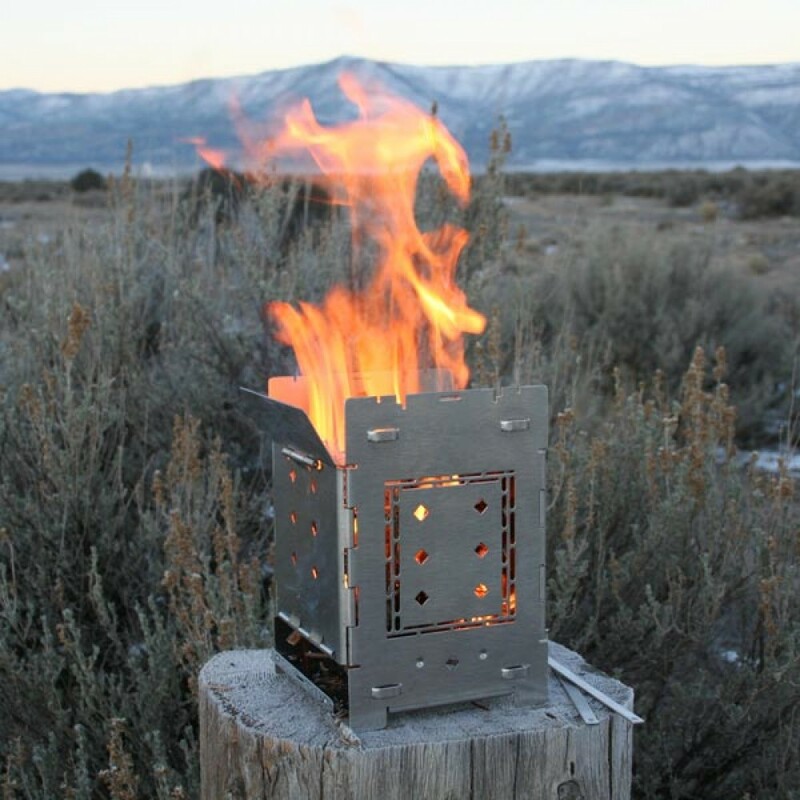 The QuickStove Folding Firebox Stove can use any type of fuel including, wood, charcoal, Sterno cans, Eco Bricks, QuickStove Discs or whatever you have available. The brilliant design allows this versatile stove to be folded to only 1/2 inch thick for packing. Once you've finished cooking, you can fold the stove and pack it without leaving a trace that you've had a fire. At only $59.99 the QuickStove Folding Firebox will give you years of reliable service at a fraction of the cost of other camp stoves. The most versatile, portable, and easy to use campfire/cooking stove on the planet. Don't be restricted anymore to campsites. Hike, bike, run, jump, and climb to that favorite outside spot and enjoy hot food or just a fire where ever you want using mostly any fuel source on the market.